The iPad Air 2 was one of Apple’s first lightweight iPads released in 2014 and was well received by customers. Although Apple discontinued this tablet in March of 2017, you can still easily find and purchase it through other retailers. 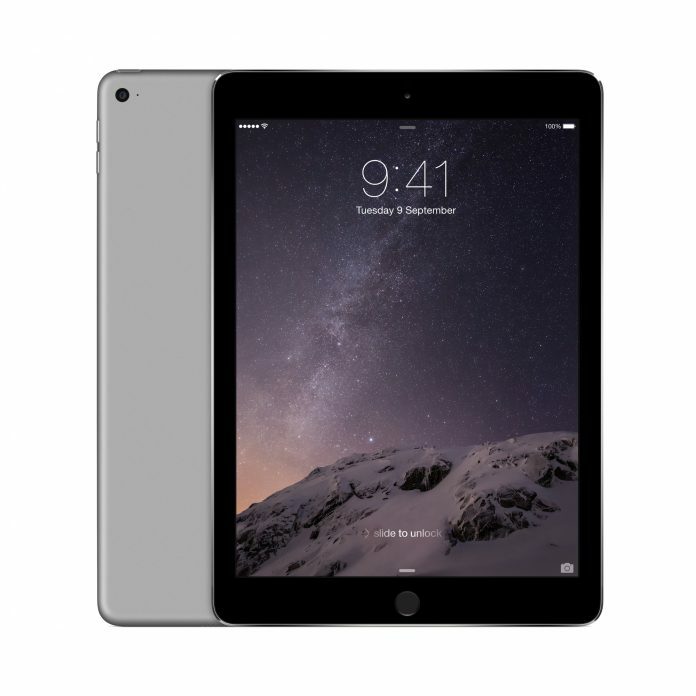 There are good several reasons why you might want to purchase an iPad Air 2. Perhaps you already owned an iPad Air 2 that you enjoyed, but it broke, and now you’re considering buying the same tablet. Possibly, you know you want an Apple tablet but are contemplating getting an older model to hopefully save money. 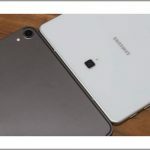 Whatever the case, this review was written to help you make an informed purchase by compiling all the information you need on the iPad Air 2 and some of its main competitors. Apple is a trendy electronics and information technology company that has made more revenue than any of its competitors. Apple strives to make the best technology they can to power their devices, which is why they designed their own operating system called iOS. It powers their mobile devices. Apple is a trusted brand that offers many resources to its customers such as Apple stores located in most countries, amazing customer service, a one-year warranty, and easy unification amongst devices. Buying a product from Apple comes with a sense of security, since it is a trusted, esteemed brand in today’s world. What is the iPad Air 2? When the original iPad Air came out in 2013, it was well received by customers and critics for being more powerful and lightweight than its predecessors. When Apple experienced a drop in their tablet sales, they quickly released the iPad Air 2 only a year after. 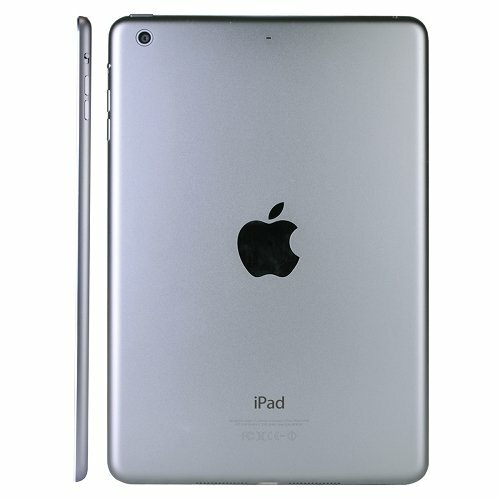 This second-generation iPad Air tablet was even lighter and addressed several customer concerns with the first iPad Air while keeping many of the old features people appreciated. With four different options for internal memory storage capacities, you have a lot of flexibility in choosing how much memory you need for your device. All iPads can be connected to Wi-Fi, but you have the option to also connect your iPad Air 2 to a cellular company and have LTE data wherever you go. The price of the iPad Air 2 will go up depending on how much memory you choose and whether you opt for LTE data, so you only have to pay for what you need. For no extra cost, you can even choose between silver, gold, or space gray finishes. The iPad Air 2 comes with a 9.7-inch screen that is large enough to accommodate your games, videos, social media, work, or whatever else you use it for. This tablet comes with an anti-reflective screen with improved contrast color, which was a big step up from the first iPad Air. The new anti-reflective screen makes a huge difference and allows you to use your iPad in bright light or outside. With a Retina display resolution of 2048 x 1536, your iPad Air 2 will make all your photos, videos, and games look great. The iPad Air 2 runs smoothly with a powerful A8X chip which is a newer, more effective chip than the first iPad Air’s in a much smaller device. It also has better CPU and RAM capacity, which increases its overall performance and graphics ability. However, the iPad Air 2 actually has a smaller battery than the iPad Air 1 with a drop from 32.4Whr to 27.3Whr. In spite of this, the iPad Air 2 still has a long-lasting battery with up to ten hours of Internet time. The iPad Air 2 has quite a few improvements as far as its camera goes. Rather than the old 5MP camera on the first iPad air, this tablet has an 8MP camera that takes noticeably better pictures, but there’s no flash option. It also takes HD videos at 1080p. One other benefit of the new A8X chip is that it’s equipped with Apple’s Image Signal Processor, which enhances pictures even more. One of the iPad Air 2’s most notable features is its thinness and lightness. At 0.96 pounds and 6.1 mm thick, this tablet is much smaller than its predecessor and even thinner than the iPhone 6. You can hold this tablet in your hand for hours without feeling too much strain or discomfort. iOS is the operating system that Apple created for all their mobile devices and is designed with Apple’s core values in mind. It is designed to be simple for its users while still looking beautiful and professional. The iPad Air 2 is capable of updating to iOS 11 but may not be able to update to future higher versions. When the iPad Air 2 first came out, it was $$$ for the smallest 16GB model and $$$ for the largest 128GB model without cellular data. Adding cellular capabilities typically brings the price up about $100 for each model. Currently, you can purchase an iPad Air 2 on Amazon for close to $$$$ no matter what size it is. Since Apple no longer sells the iPad Air 2, you will likely only find a new one online. Your best bet is to buy one from Amazon while they still sell them. Since you can only buy the iPad Air 2 through other vendors, your warranty might be different for the product and you don’t have the option to pay for extra protection through Apple. You also will not be able to take advantage of any of the payment plans or special promotions that Apple usually offers for their products. How Does the iPad Air 2 Compare to Other Similarly Priced Tablets? 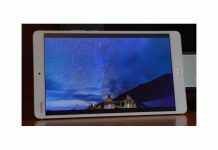 Now you know all about the iPad Air 2 and its specifications, but you also need to know how it compares with other top tablets that are in a similar price range before you can make an informed purchase. The iPad Air 2 was discontinued by Apple at the same time they announced their new tablet simply named the iPad. In spite of the fact the new iPad came out three years after the iPad Air 2, they are extremely similar. The new iPad is slightly heavier and thicker than the iPad Air 2 and only comes with the options of 32GB of memory or 128GB of memory. This iPad doesn’t have the same anti-reflective screen as the iPad Air 2 but does have a brighter screen. One of the main differences between the new iPad and the iPad Air 2 is the iPad’s new and improved chip and processor. Instead of the A8X chip and M8 motion compressor, the new iPad has the A10 Fusion chip with an M10 coprocessor. Both tablets have the same cameras and can run for up to ten hours. Additionally, the iPad is basically the same price as the iPad Air 2 with the 128GB version costing $350. The new iPad comes with a one-year warranty. 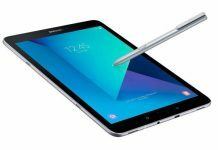 The Galaxy Tab S3 is one of Samsung’s best tablets that is most comparable in price and performance to the iPad Air 2. It is basically the same size and weight as the iPad Air 2, making it a very portable, light tablet. It even has the same 9.7-inch screen. This tablet only comes with one 32GB option, but you can purchase a microSD card to expand the memory to up to 400GB. You can also choose to purchase this tablet with just Wi-Fi or with Wi-Fi and Verizon. This tablet has some great graphics with High Dynamic Range (HDR) on a Super AMOLED display screen. This tablet comes with a Quad-Core Processor and boasts that you can use it up to 12 hours before needing to charge it. Plus, with Adaptive Fast Charging, your tablet will charge in three hours or less. The rear camera on the Galaxy Tab S3 is much better than the iPad Air 2’s. With a 13MP rear camera and a 5MP front camera, you can take great pictures. This tablet also has some cool audio features like Powerful Quad speakers which can calibrate your movements and adjust the sound to match them. 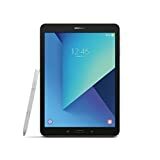 Instead of iOS, this tablet uses the Android operating system, which is the operating system used on pretty much all tablets that aren’t made by Apple. Additionally, this tablet comes with a one-year warranty. If you’re willing to spend some extra money on arguably the best tablet out there, the iPad Pro is worth looking at. When it comes to the iPad Pro, you have several choices to make. 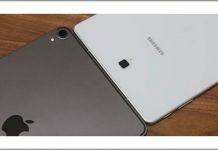 Your choices will determine whether your tablet is at a more reasonable price around $700 or if climbs up over $1,000. First, you need to choose between a normal sized 10.5-inch tablet and a supersized 12.9-inch tablet. Unless you are using the tablet specifically for work or school, the 10.5-inch is cheapest and plenty big enough. Next, you need to choose what finish you want, especially since this iPad has the extra option for a rose gold finish. Third, you need to choose between three memory options: 64GB, 256GB, and 512GB. 64GB is probably enough memory for the average user, but if you want to double up your iPad Pro as a laptop then you can have a whopping 512GB of internal memory. 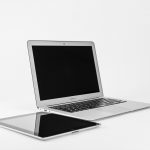 Lastly, you need to decide if you want to run your laptop off of Wi-Fi alone or if you want to add cellular capabilities. This tablet has the A10X chip, which is a step up from the iPad’s A10 chip and it excels in performance, display appearance, and versatility. At 12MP, the iPad Pro has a much better camera than the iPad but actually has a slightly lower performing camera than the Galaxy Tab S4’s 13MP. This tablet is extremely responsive to touch and is great for multitasking. If you are a professional or just want the best tablet that’s available, the iPad Pro is perfect for you. Overall, the iPad Air 2 is still a decent tablet and ranks pretty well when compared with its competitors. It performs well and is a great value considering the reduced price since its discontinuation. Although the iPad Air 2 was an especially impressive tablet in 2014 when it was released, there are now better options on the market. If you were interested in the iPad Air 2 in hopes of a lower price, the new iPad is actually a better value. With a better processor, more internal memory, plus the ease and security of ordering through Apple’s website, you’re much better off buying the iPad which is almost the same price as its predecessor. The iPad Air 2 is lot of options for internal memory and cecent camera and improved graphics. However it may not be able to update to newer versions of iOS in the future. Previous articleLenovo Yoga Tablet: Is It Right for Your Mobile Lifestyle?